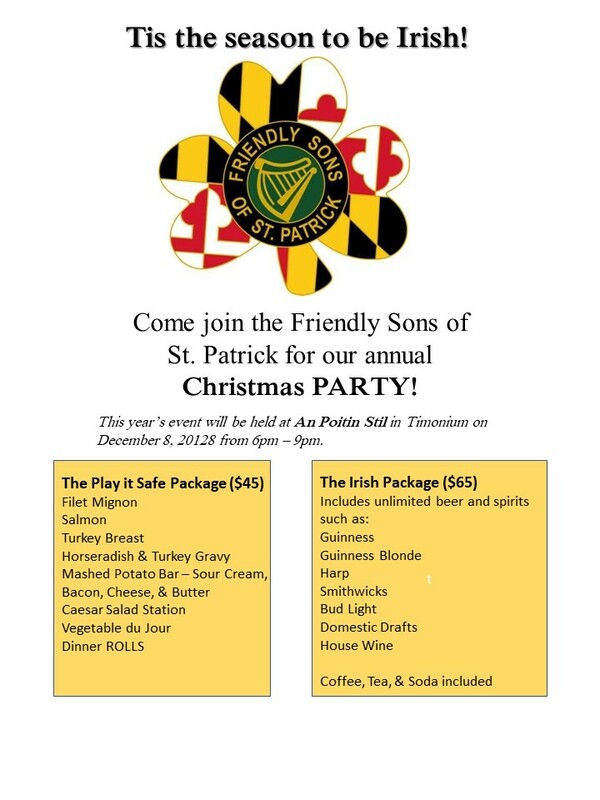 The FSSP will hold their Annual Christmas Party and Quarterly Meeting on Saturday evening, December 8, 2018 at The An Poitin Stil from 6:00 PM until 9:00 PM. All of the Friendly Sons and guests from AOH and the Hibernian Society will be attending. We will have Buffet style dining. *PayPal – use the PayPal buttons below to make your choice and to complete payment.